Borromeo’s is a family-fun, sit-down pizzeria. Not only do we have a variety of excellent foods, we have several televisions for the sports fans, arcade games for the kids (or the kid in you), and a staff of fantastic people making your experience relaxing and enjoyable. 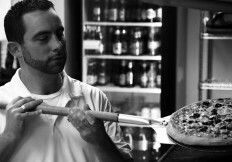 Borromeo’s Pizza & Italian has been around since 2000. But it wasn’t until a few years back, that we became the thriving family-fun restaurant it is known for today. While much of the menu has remained the same since the doors first opened, the atmosphere has been completely transformed since Chad Hulsey purchased it in 2007. Since then Borromeo’s has expanded and moved to a new location at 8607 Smyrna Parkway. Our new place has allowed for a more spacious and fun atmosphere to bring the family. 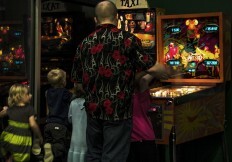 Whether you want to watch a ballgame or let your kids play in the mini-arcade, we guarantee you will enjoy your visit. We see ourselves as a family restaurant. Whether you are a regular to Borromeos Pizza & Italian, or it’s your first visit, our staff will always make you feel right at home. “A good restaurant is not just about the food, but also the people who work in it. The staff here at Borromeo’s is dedicated to making this place successful. Every day we strive to create an open and fun atmosphere so that you can continue to enjoy your experiences here for many more years to come.